The Loot Llamas in Fortnite Save The World are changing and becoming less random. 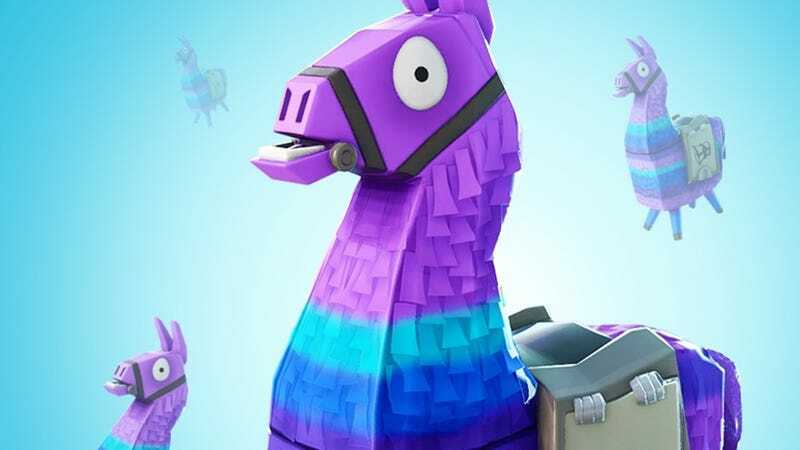 Currently, Loot Llamas work like most other loot boxes: Players buy them and then open the llamas to find out what random items they’ve received. Epic Games has announced that an upcoming update will soon change this process. In the update, V-Buck Llamas are becoming X-Ray Llamas. Before buying these new X-Ray llamas, players will be able to see exactly what they are going to receive. If players don’t like anything in the llama, they can wait until the next day when the contents inside their llama will change. This change will also show players if a llama is going to upgrade, which happens randomly and improves the loot inside. Epic is also taking steps to make sure the contents of these X-Ray Llamas are not filled with duplicate items. For example, if the loot llama was planning on giving you a rare shotgun, the game will try to give you a rare shotgun you don’t already have in your collection book or schematics inventory. Other llamas in Save The World, like Mini Llamas and Event Llamas will not be changed into X-Ray Llamas. These loot box changes are only happening in Save The World. Llamas in Fortnite Battle Royale will continue to work the same way they currently do, with no changes. Loot boxes have become a controversial element in the gaming industry, with many fans and even law makers pushing back against the practice.